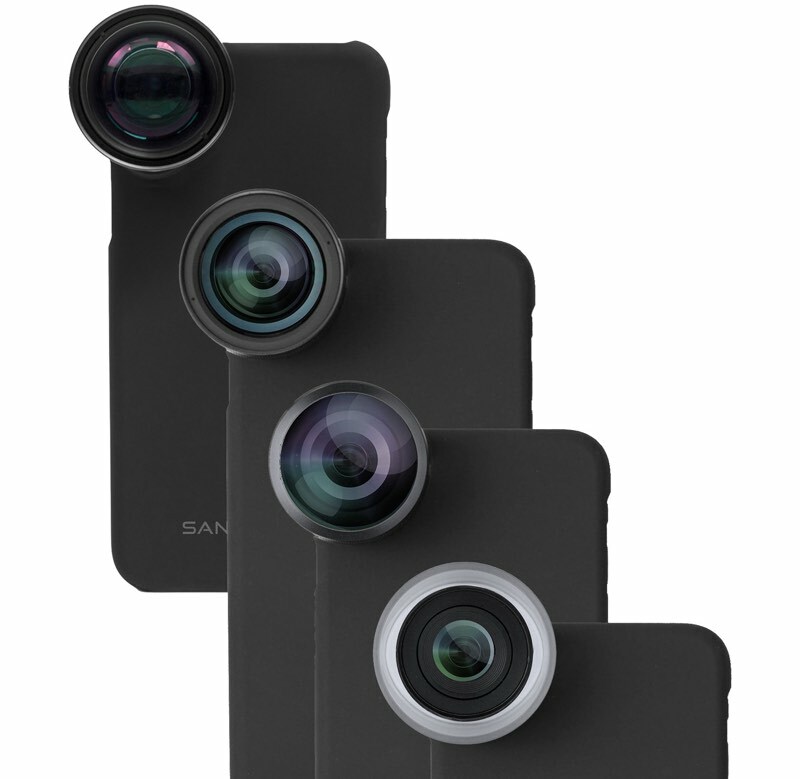 For this week's giveaway, we've teamed up with SANDMARC, a company that makes camera lenses for the iPhone, to offer MacRumors readers a chance to win a kit that includes a set of Pro Photography lenses, a set of Cinema lenses, and a $100 SANDMARC gift card. 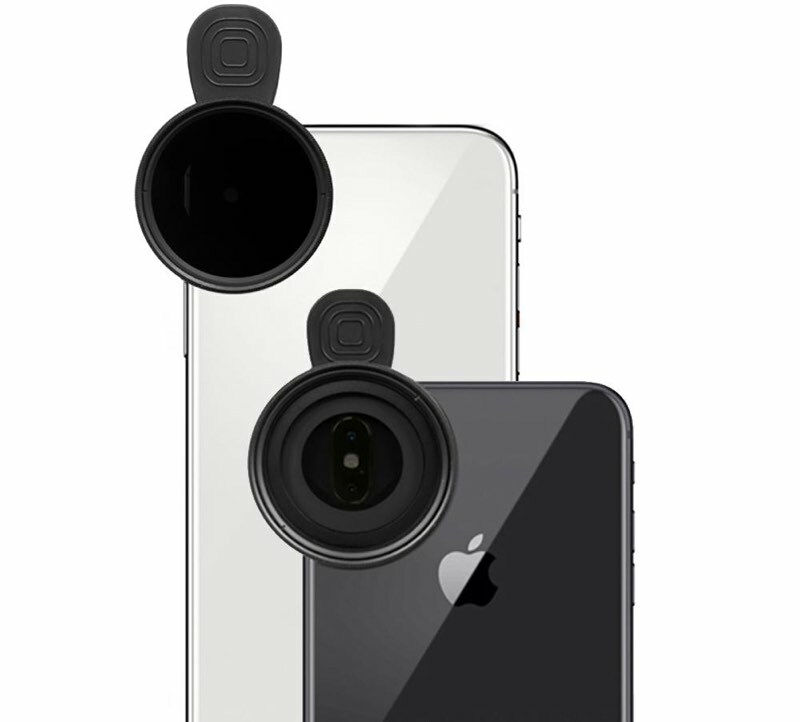 SANDMARC makes high-quality camera lenses that are designed to fit the iPhone 7 and later, with individual kits available for each iPhone. The Pro Edition lens set, priced at $289.99, includes a 60mm telephoto lens with 2x magnification, a 16mm wide-angle lens, a 10mm fisheye lens, and a 25mm macro lens with 10x magnification. The telephoto lens is ideal for portraits, animal shots, and other scenes where you want to get just a bit closer, while the wide-angle is perfect for landscapes. The fisheye is a lens that's used for super wide-angle images, and the macro lens lets you get up close to whatever you're photographing. SANDMARC's Pro Edition lens set also comes with an iPhone case that's designed to hold the lenses in place, but there are also four clips included if you want to use the lenses without the case. If you don't need all of the lenses, SANDMARC also sells them individually. Along with its Pro lenses, SANDMARC also has a $100 Cinema Edition lens, which will be included in the giveaway. The Cinema is a polarizer that is compatible with both lenses on the iPhone, offering up Scape ND4, ND8, ND16 filters. These neutral density filters offer up better aerial shots, introduce a motion blur for more natural looking videos, and compensate for variations in lighting. The polarizer filter is designed to be used when photographing water and can also bring out better colors in your pictures. There are lens sets that are much cheaper, but SANDMARC is producing higher-quality components designed to compete with companies like Moment. SANDMARC lenses produce crisp, sharp photos that are free of the distortion and artifacts often seen with lower-quality options. We have one SANDMARC bundle available, with Pro lens set, Cinema lens set, and $100 gift card. To enter to win, use the Rafflecopter widget below and enter an email address. Email addresses will be used solely for contact purposes to reach the winner and send the prize. You can earn additional entries by subscribing to our weekly newsletter, subscribing to our YouTube channel, following us on Twitter, following us on Instagram, or visiting the MacRumors Facebook page. The contest will run from today (November 16) at 11:45 a.m. Pacific Time through 11:45 a.m. Pacific Time on November 23. The winner will be chosen randomly on November 23 and will be contacted by email. The winner will have 48 hours to respond and provide a shipping address before a new winner is chosen. Nice! I could really use this.